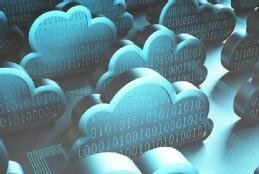 Cloud computing has taken hold in no small part because it simplifies so many functions in the IT portfolio. And with that simplicity comes a fair amount of behind-the-scenes complexity. That's when the trend toward automation in the cloud starts to make sense. After all, managing resources and applications on various cloud platforms and across myriad virtualized environments presents an ongoing challenge for operations teams. It's not that it can't be done. It can. But the questions that persist through the day-to-day rigors of cloud management are trickier: Can all this be done better? More sensibly? More efficiently? Being organized and properly prepared are seen as the big difference makers between success and disappointment as an organization pushes toward more automation in the cloud. Do your homework, goes the refrain. Know what you're getting into before you get into it, advisers helpfully advise. Sure, that's well-intentioned guidance and useful enough -- to a point. What's really going to make automation in the cloud work is figuring out how to group your resources so that they are ordered in ways that will allow cloud orchestration tools to do their thing. As cloud expert Tom Nolle writes in this handbook's first feature article, these groupings, or resource domains, and their frameworks form the foundation of effective cloud automation and orchestration. You're making the investment in cloud computing, so why not get the most out of it? It's smart to use cloud services, after all, but it's even better to use them smartly.